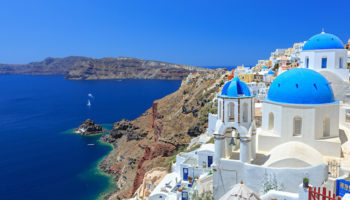 The beautiful and exotic Greek islands lure droves of tourists every year, making them one of the world’s top travel destinations. 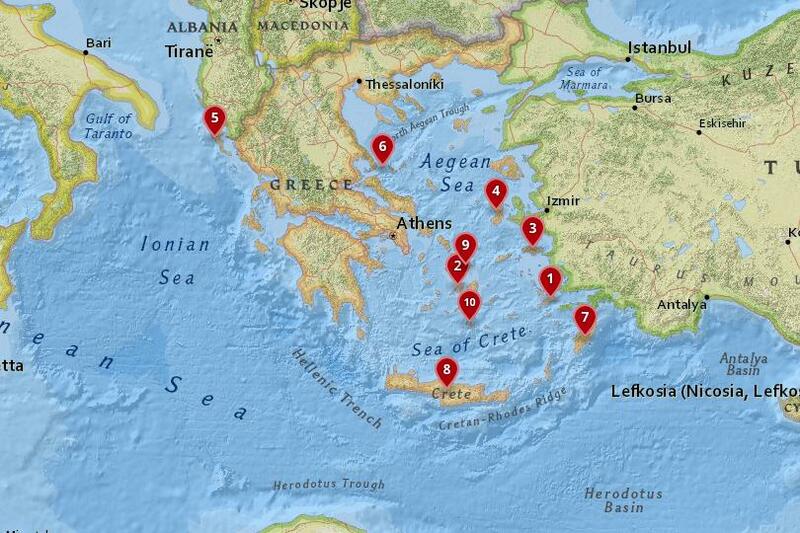 However, with hundreds of islands to choose from, planning a trip can be a bit of a dilemma. 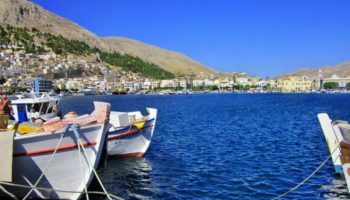 To help you maximize the best of your travel experience, check out the following list of the best Greek islands. Characterized by long strips of clean, white beaches and rolling farmland rich in grapes, figs, olives, corn and wheat, the island of Kos offers beautiful landscapes, historic sites and great beaches all in a relaxed atmosphere. You can explore attractions like the ruins of an ancient marketplace and the 14th century fortress built by The Knights of Saint John of Rhodes. In the charming city center of whitewashed buildings in Kos Town, you will find an abundant selection of hotels, restaurants, bars and nightclubs. Paros is one of the most picturesque of the Greek isles with its charming old towns of cobblestone streets, whitewashed buildings and vibrant vines of bougainvilleas. Because of its many convenient ferry connections, Paros makes a great base if you want to visit other islands in the Cyclades. 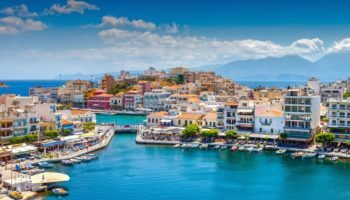 If you are looking for an attractive nightlife scene, you will be spoiled for choice on this Greek island as it offers many towns that feature a wide range of restaurants, bars and nightclubs. The beaches on Paros are plentiful as well, ranging from the quiet and remote to the more crowded where windsurfing competitions are frequently hosted. Considered one of the sunniest destinations in all of Europe, Samos is where you will discover stunning pebble beaches and crystal clear waters, which are ideal for scuba diving and snorkeling. Never tried these fun water activities? Don’t worry, the island of Samos offers you plenty of classes and instructors to provide you with a wonderful experience. Significant sites to see on Samos include the ruins of the Temple of Hera as well as the Eupalinian aqueduct, which is regarded as an ancient engineering marvel. Separated from Turkey by a narrow strait and part of the Northeastern Aegean Islands, Chios is an ideal place for sightseeing. Situated in the center of the island is its most notable historic site, Nea Moni, an 11th century monastery. In the southern region of the island, visitors can explore several medieval villages with their ancient walls and towers. You will likely see a variety of colorful tulips growing in this area as well. If your visit is during the Easter holiday, you might find it interesting to watch a unique tradition in the town of Vrontados where locals practice a friendly church war during Easter services. Of all the best islands in Greece, Corfu probably offers the most variety of everything from its blend of ethnic cultures to its contrasting landscapes and array of attractions. An island steeped in Byzantine history and Greek mythology, Corfu features charming old towns laced with the varying architectural styles of its Greek, Italian, French and British past. 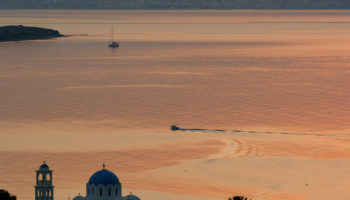 Outside the towns, tourists will discover some of Greece’ most beautiful beaches, some still unspoiled. No matter what your interests are, this Ionian island offers many interesting attractions from historic sites to modern museums and a vibrant nightlife. Nature lovers will not want to miss a visit to the island of Skiathos in the Sporades. One of the most northern of the Greek Islands, Skiathos features vast hills of lush pines and sandy beaches while offering plenty of wildlife viewing and a nature conservatory. Other interesting attractions on the island include ancient monasteries, medieval castles, Byzantine churches and fascinating museums. If you love history, you don’t want to miss out on a visit to Rhodes. Located near the coast of Turkey in the Dodecanese, this beautiful island packs many historic treasures such as its medieval Old Town, the Temple of Apollo, the Acropolis of Lindos, the Governor’s Palace, Rhodes Footbridge and more. This island of exotic, Turkish influences also features popular beach resorts and charming villages with friendly locals. As the largest of the Greek islands, Crete is also the most populated. 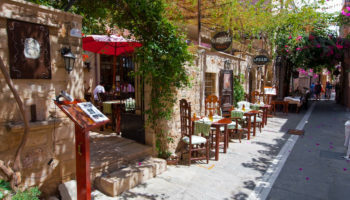 Crete is where you will find the most variety in hotel accommodation, restaurants, shops and nightclubs. Because this island features beautiful beaches, scenic mountains and gorges, you can enjoy a wide range of outdoor activities here like hiking, mountain climbing, horse riding, gorge trekking, swimming and more. History lovers will want to explore the many historic and archaeological sites that dot the island such as Knossos Palace, which dates back to the Minoan civilization. 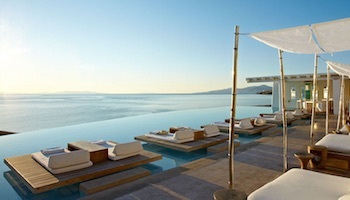 Mykonos is famed as a cosmopolitan destination amongst the Greek islands. Mykonos Town (also known as Chora) is a stunningly picturesque Greek town with a maze of tiny streets and whitewashed steps lanes. Although the streets are lined with small shops, boutiques, art galleries, cafes, bars and restaurants, Mykonos Town has not completely lost its identity. Thanks to Mykonos’s strict building regulations its traditional Cycladic architectural style and character has remained firmly intact. 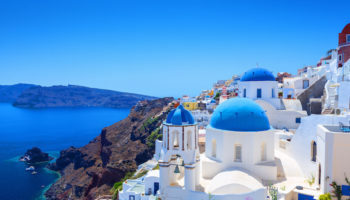 Part of the Cyclades group of the Greek islands, Santorini is famous for its dramatic views, stunning sunsets, the white-washed houses, and its very own active volcano. 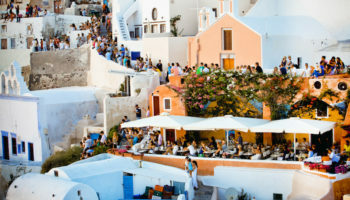 Fira, the capital of Santorini, is a marriage of Venetian and Cycladic architecture, whose white cobblestone streets bustle with shops, tavernas, hotels and cafes, while clinging on the edge of a high cliff. If you arrive by sea you can take a cable car up from the port or alternatively take a trip on a mule up the 588 zigzagging steps. Which island in Greece do you consider to be the most beautiful? I’ve just been in Kos and Rhodes and I consider they are not anything compared with Nisyros. Last week I visited these three islands and, with doubt, Nisyros is the most impressive one. Nikia is a marvelous village, and the beaches, few people, transparent water with brown sand. I stayed in a little hotel in front of the sea, near the port, with no noises during the night. Calm, relaxing place, infinity from the balcony and good price. Rhodes and Kos are too touristic, full of people who leave their country in order to do the same things but at the Mediterranean. It is foolish. I love GREECE and my favorite is beautiful green island Corfu, I spent a great time in Hotel Bella Mare ,near of Avlaki beach, it was perfect. 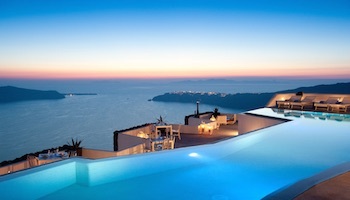 Santorini is definitely one of the most beautiful place not only in Greece but also in the whole world. Never seen such a beauty .Greece has such a beauty unbelievable. colors and clarity are mesmerizing. Thassos is truly stunning. Although the island has undergone some development over the 17 years since I first visited, it remains a wonderful destination offering typical Greek hospitality and a wide variety of accommodation to suit everyone. I’ve just come back from visiting Koufinissi, Dounoussa, Shinoussa and by far these are my most favourite islands. I’ve now done 23 islands in total and will be continuing my island hopping trips for sure! !